Hi all, just got maker713 gantry and extruder kit in the mail so figured i better order some spare bb's for the rails just in case. Anyone know of size and source? also looking for a lube recommendation. We talked about this last yea but was wondering if anyone found anything better by now? Hey there @csorrows any chance we have some sort of diagram or parts list? @PaulS Hello Paul, I changed my bearings to ceramic ones the other night. 192 of them. I have most of the old ones in a baggie. I can drop some in the mail to you if you want. I pulled the sliders off the end of the rail none of the balls fell out. I suppose if you drop a slide they would. I changed to the 713 gantry and extruder mount. I started with the stock FT extruder and the lightweight mount. 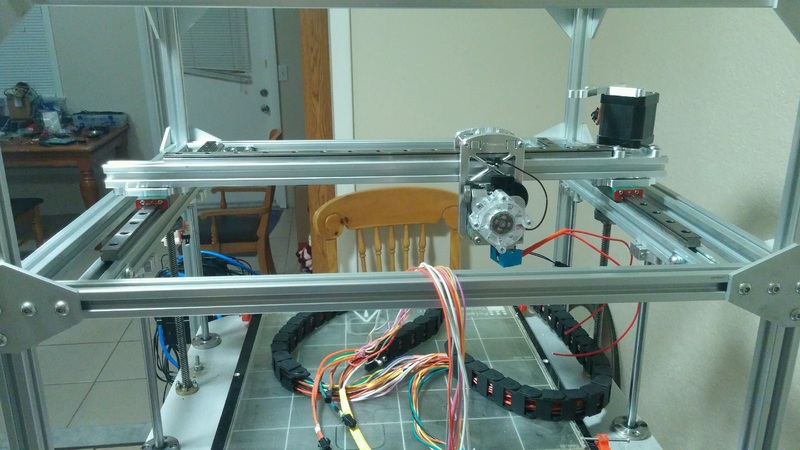 I attached the extruder by turning the mount backwards and bolting to the back of the motor. In a few days went to E3D Aero and turned the mount back around. Material: AISI 52100 Chromium Steel. Grade: 25. | eBay! 3/32” is the correct size. 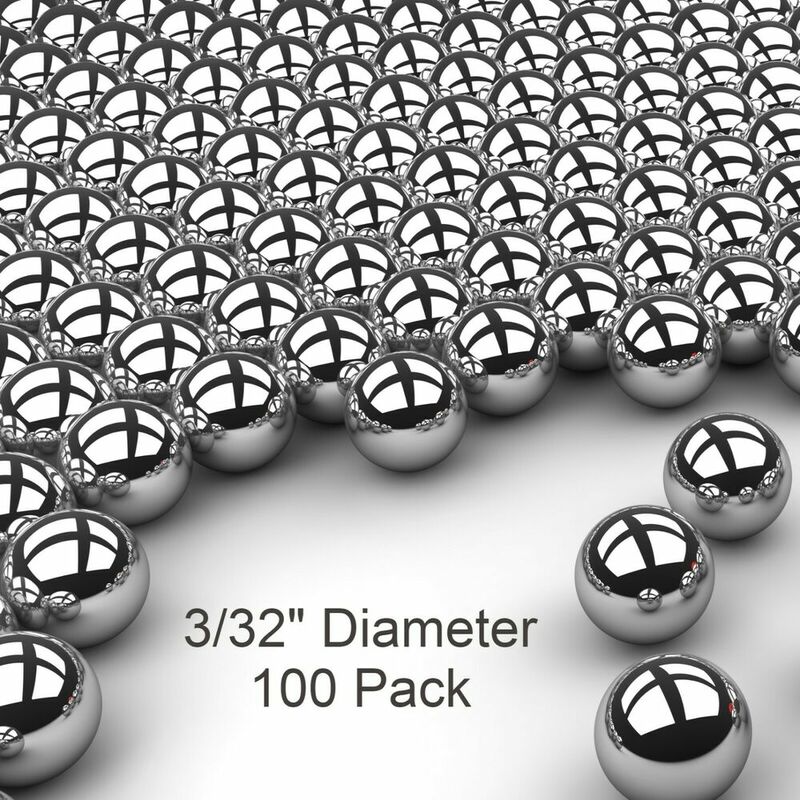 I paid $29 for 200 of the silicone nitride balls from Amazon. I like Allen head screws over Phillips but the ones with the kit are a little soft and do tend to strip out if you torque them. I also hope to replace the screws with new hardware as i am not fond of how easy the alien heads strip out. What are you using to tighten the bolts? One of the first things I got for the project was a set of allen key inserts for a magnetic screwdriver bit holder. They work like a charm with a stubby driver. I have yet to strip a single bolt head. I pity anyone trying to use an allen wrench to assemble and maintain something like the FT5. Even better (when it can fit) is a small battery powered driver with the allen key bits. Make sure it has a clutch, and set it appropriately, or you will strip the smaller bolt heads every time. I have not yet changed any of the balls in my linear rails. They are however 3/32 as stated above. I do plan to replace the ones in my R2 with the ceramic ones as @FreightDogAK mentioned above. Sorry I have not been around as much as usual, It's crunch time on the R2 manual and all my energy outside of my day job has been going into it. As for lubrication, John and I have always recommended using a thin PTFE based lube. 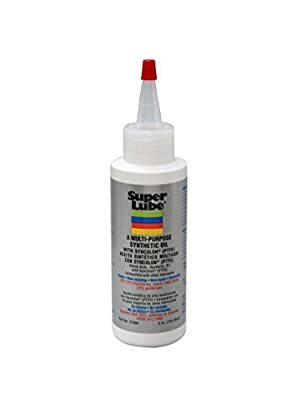 I use the Super Lube stuff myself. Being busy last time. The Duetwifi is a marvel. I'm thinking of adding the full expansion board (Due5X). 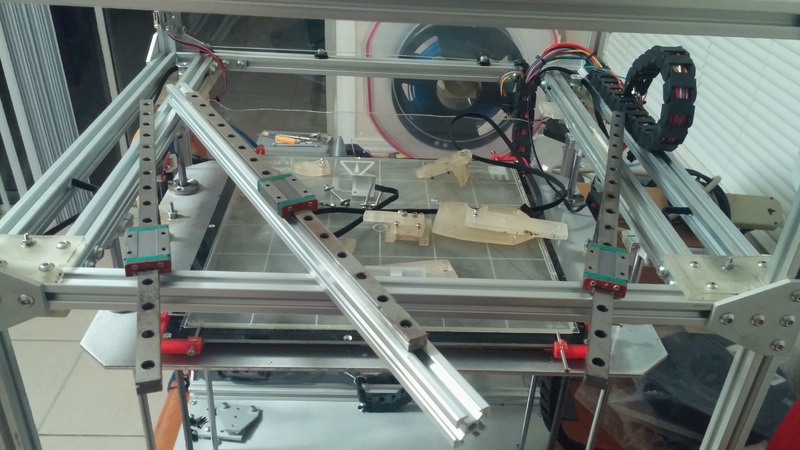 - extruderstepper(s) to a level at gantry +100mm (max) using identical CoreXY setup (so a dual CoreXY setup : Duet allows to control more then one stepperdriver for the same axis, hence the Due5X). 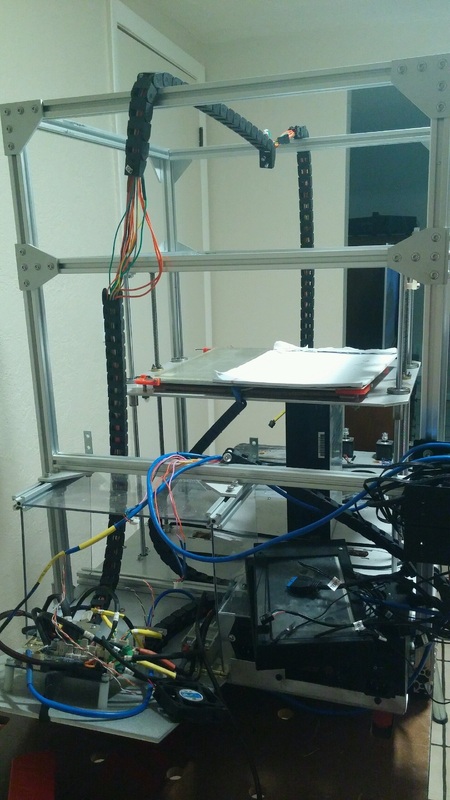 New design of the printhead. I want to use the tip of the nozzle for detecting (and levelling of) the bed. Just enjoying myself, upsetting my wife with expenses she doesn't understand the need for at all. But what can I do. I don't understand her need for new shoes or a new dress neither. Don't feel guilty at all. 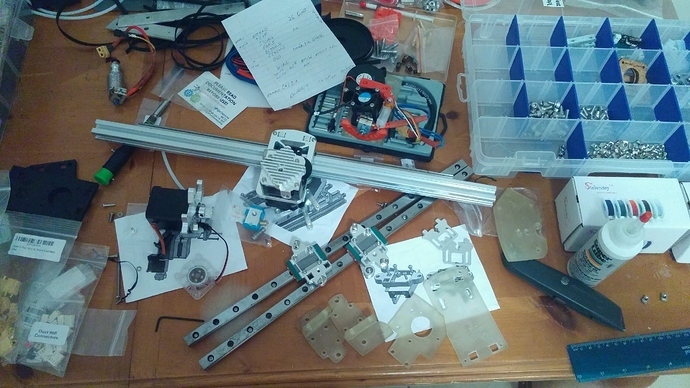 new parts have been and will be coming in for days,(even Sunday and this morning) almost pity the poor mail person LOL @Walter, funny you mention core xy, i am converting my z and my y to 1 motor each on this upgrade not to mention titan aero bl touch dual extruder setup.... Should be interesting, tons of weight removed and motors relocated to bottom so should be more stable. rebuilt gantry with maker 713 parts. AMAZING how much more solid it is. NO diagonal movement for the 2 Y carriages holding the x axis. no diagonal flex at all. very good upgrade over stock gantry parts and even the fiberglass 1's i made!